Want to check in on the state of American Christianity? Look no further than the radio show of pop theologian Eric Metaxas, the biographer and OG Trump supporter who last week invited disgraced provocateur Milo Yiannopoulis for an hour-long chat on his syndicated program, The Eric Metaxas Show. 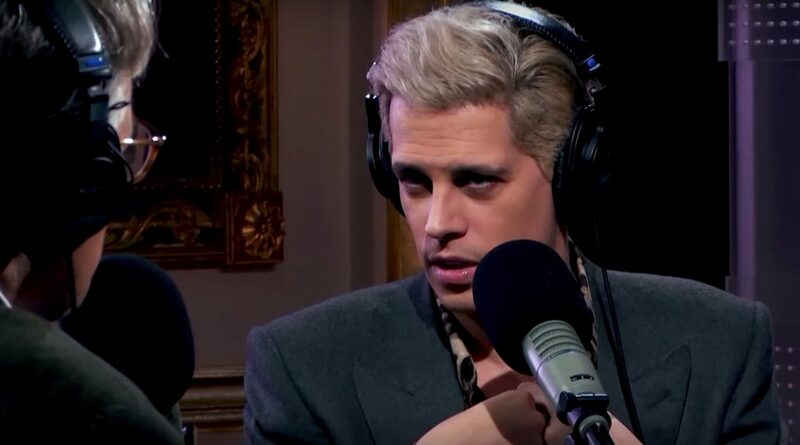 Yiannopoulos, you will recall—and don’t try to tell him you don’t!—is the loathsome and tiresome egotist (or, depending on your political persuasion, the fearless and bold teller of forbidden truths) who skyrocketed to fame as a Breitbart blogger during the 2016 election because he was loud and brash and right-wing and gay, and who subsequently plummeted back to obscurity when it became clear he had nothing else on offer. Having reached the end of his rope as a shock jock and hawker of vitamin supplements—on InfoWars, no less—Milo now seems to be attempting to reinvent himself as a Catholic public intellectual. His latest (self-published) book is titled Diabolical: How Pope Francis Has Betrayed Clerical Abuse Victims Like Me—And Why He Has To Go. And this book was the ostensible reason for him to be invited onto Metaxas’ show. Metaxas, who says he first met Yiannopoulos at the GOP national convention in 2016, sees Milo as another innocent victim of the Lyin’ Left: “Theoretically, falsely, you were accused of being openly racist in something you said,” Metaxas mourned. “The problem, usually, is that a lot of one’s followers are idiots who say the things that then you get tagged with. A lot of people online following up your comment, in defending you, said vile, genuinely racist things—and then you get tagged for it.” When your seething horde of devoted fans bury a black actress in a landslide of bigotry because you didn’t like her movie—ugh, don’t you hate it when that happens? Milo, for his part, seems to be wondering how he fell from his star turn as a celebrity Trump booster throwing ironic Hitler salutes at white nationalist parties to dithering with an old conservative about the Ten Commandments on a show nobody even notices for a week. (During the appearance you can actually see him rolling his eyes at various points.) Because for Milo everything is always about The Brand. Asked why he decided to write the book, Milo tells Metaxas “I wrote this book in part to address this presumption that had arisen, that I was in some way unserious or insubstantial.” Just so no one gets confused on this point, the cover of Milo’s book about Pope Francis features a full-size portrait of Milo. The irony, of course, was lost on both of them.